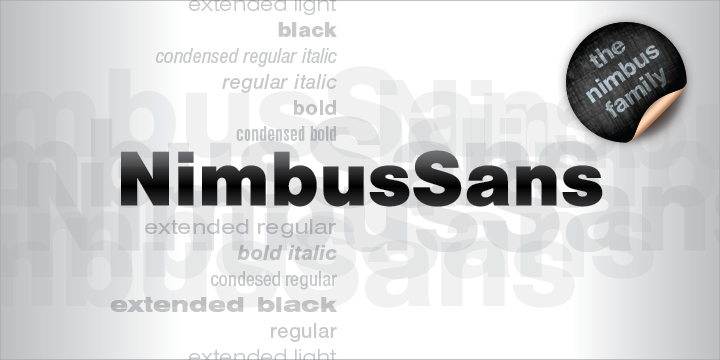 The Nimbus Sans is a superb font that comes equipped with a set of fonts for text setting as well as a diverse set for display setting. The typeface is widely praised for its fidelity to the unique design. Initially taken from Max Miedinger’s original drawings, the Nimbus Sans by URW was digitized in the early 80s. Ultra-high quality analog artwork was used to create the font. The designers used the latest best technical process available across the globe. URW’s Nimbus Sans is simply the best available in the marketplace. It is the unique lettering made superior in every way.